Zantedeschia is a genus of herbaceous flowering plants in the family Araceae, native to southern Africa from South Africa north to Malawi. The name of the genus was given as a tribute to Italian botanist Giovanni Zantedeschi (1773–1846) by the German botanist Kurt Sprengel (1766–1833). Common names include arum lily for Z. aethiopica, calla, and calla lily for Z. elliottiana and Z. rehmannii although it is neither a true lily (Liliaceae), nor Arum or Calla (related genera in Araceae). It is also often erroneously spelled as "cala lily". 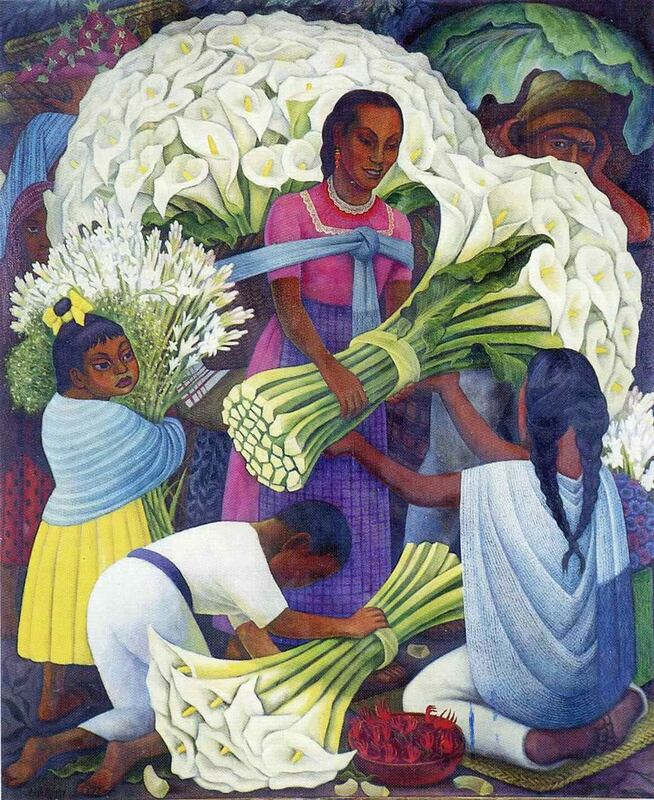 It has often been used in many paintings, and is visible in many of Diego Rivera's works of art (see The Flower Vendor, amongst others). 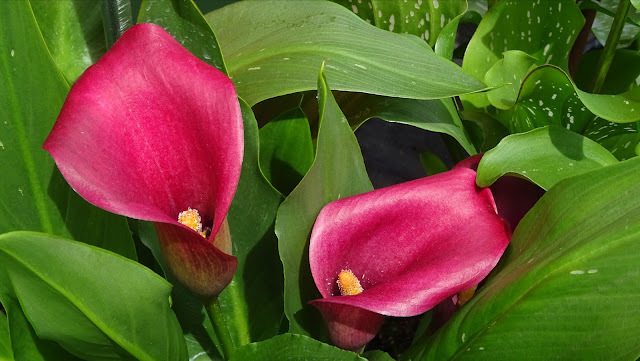 Zantedeschia rehmannii Pink Calla Lily, shown here, has charming, funnel-shaped blooms that may be pink, rose, lavender or violet. It is a smaller plant (growing up to 40 cm) than the white or yellow varieties. Its long, tapered leaves are deep green, often with faint white spots. Just a cut flower here! The colored ones are much harder to grow than the white ones, sadly. Happy new year Nick! May this year be the best! I like the color from this calla, like it really. Happy New Year, dear Nick! Your wonderful flowers are a nice beginning for the year 2017! Magnificent magenta! Thanks for hosting! Heisann! Happy and peaceful new year to you ;:OD) ! Nick, marvelous color. Thanks for sharing and Happy New Year to you. A happy new year for you! I'm back again and start with a rose.